What to Do in Toronto - R We There Yet Mom? 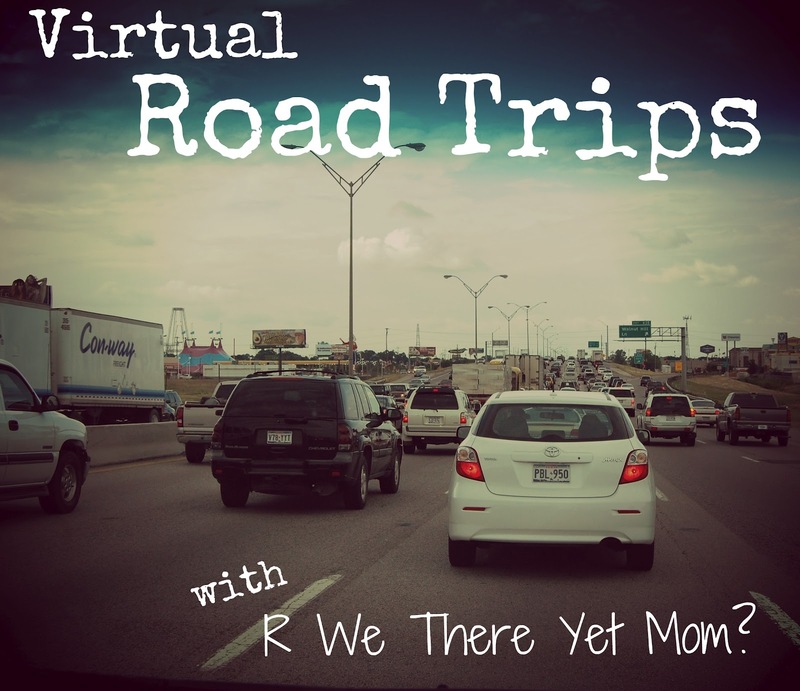 Join us this summer as we take a little virtual road trip, visiting some fun spots across the world! I love Canada – so many great places to visit there! I have also been friends with Lisa from Gone with the Family for over a year now and love to hear about her travels – both locally and internationally. 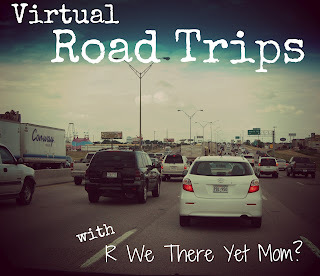 This mom can travel!! She offered to tell us all about her home town of Toronto, and after reading this post, I am ready to book a trip ASAP! The beautiful city of Toronto, which is located right on the shores of Lake Ontario, is the largest city in Canada with a population of more than 2.5 million in the city itself and 5.5 million if you include the metropolitan area known as the GTA (“Greater Toronto Area“). Toronto is the one Canadian city that just about everyone has heard of and it’s one of the world’s most multicultural cities as many of the country’s immigrants gravitate to the large city. It’s also a very family-friendly city with many attractions and activities to keep kids busy, lots of park space, and a good transit system for getting around. We lived in Toronto for many years before moving our family to Oakville which is about a 30 minute drive from downtown and we often go into the city to visit one of the many museums, to attend a sporting event or to see a show. I love living so close to a city that has so much for families and I’d like to share with you some of the best things for families to do in Toronto. There are quite a few attractions in the city that are popular with tourists and residents so I’ll just highlight my personal favourites. At 1815 feet tall, the CN Tower is the most recognizable building of the Toronto cityscape. The tower was built by Canadian National Railways and opened to the public in 1976. Since then it has become one of Toronto’s most popular tourist attractions with over 1.5 million visitors each year riding the glass elevator to the top of the tower for its breathtaking views of the city. At the top of the tower visitors can walk on a glass floor, enjoy the view from the Observation Deck, dine in a revolving restaurant or, for the exceptionally brave, take part in the new Edge Walk that has harnessed participants engage in the world’s highest full-circle hands-free walk around the outside of the tower’s main pod. Charitable climbs to the top of the tower take place a couple of times a year and, with enough encouragement, I might be one of the climbers this fall. Many people are surprised to learn that Toronto has its very own majestic castle called Casa Loma. Sir Henry Pellatt built his medieval dream castle in central Toronto early in the 20th century but financial misfortune caused him to abandon his home and it is now owned and operated by the City of Toronto. Visitors can take a self-guided tour of the decorated rooms of the castle, secret passages, towers, an 800 foot tunnel, and stables. The estate gardens are also open from May through October. There are special holiday events during the weeks leading up to Christmas and that’s our favourite time to visit. Anyone who likes farmer’s markets must visit St. Lawrence Market which was just named the world’s best food market by National Geographic. The market which is located right in the heart of downtown Toronto has been operating since 1803 and features over 120 vendors of fruit, vegetables, meat, fish, baked goods and dairy products in the South Market building from Tuesdays through Saturdays. There are plenty of vendors selling prepared foods so it is also a great place to pick up a quick lunch while exploring the city. One of the most popular lunch items is the famous peameal bacon sandwich at Carousel Bakery. There is also a popular Farmer’s Market in the North Market building on Saturdays and an Antiques Market in the same building on Sundays. Artisans will also be found selling their wares, buskers will be entertaining and there are often festivals in the market neighbourhood. The Toronto Zoo is one of the world’s largest and is open year round. The zoo is located in the city’s east end and is accessible by public transport as well as by car. The Zoo is organized geographically into the following 7 regions: Africa; the Americas; Australasia; Canadian Domain; Eurasia; Indo-Malaya; and Tundra Trek. With 10km (6 miles) of walking trails it is difficult to see everything in the zoo in one outing so I generally recommend picking the animals that the kids want to see the most and heading to those areas first. The polar bears are our favourites so we always make a point of seeing them. The zoo also has a carousel, a children’s play area, the Zoomobile train, camel and pony rides and has just opened a family ropes course. Toronto is home to a variety of museums that will appeal to families. The Royal Ontario Museum (“the ROM”) is among the world’s leading natural history museums and includes hands-on galleries that are very popular with kids. The Art Gallery of Ontario (“the AGO”) is located in downtown and is one of the largest art museums in North America with a large Canadian collection as well as many masterpieces of European art, contemporary art and photography. If you happen to be in Toronto before August 26th this year then you can visit the special Picasso exhibit that is on an international tour from the Musée National Picasso, Paris. Kids that like interactive science and technology museums will love the Ontario Science Centre which is celebrating forty years of educating and entertaining this year and the Hockey Hall of Fame will appeal to sports fans who want to learn more about the history of Canada’s sport and its greatest athletes. Families that enjoy living history museums should visit Black Creek Pioneer Village located in north-west Toronto. The museum is spread over 30 acres of country property and features historical interpreters and trades people in period dress conducting demonstrations, answering questions and explaining how people lived in the mid 19th century in rural Ontario. Toronto has an endless array of entertainment options including live concerts, theatre, ballet, opera, and a variety of professional sports. One of our favourite reasons for heading into the city is to attend a theatrical production or to cheer on our beloved Blue Jays (even if they rarely win when we are in attendance). Toronto is one of the world’s most cosmopolitan cities with many cultures represented among the city’s population and more than 140 languages and dialects spoken here (according to City of Toronto stats). There are several vibrant ethnic neighbourhoods in the city where visitors can shop, dine, and stroll – the best known are Little Italy, Chinatown, and Greektown. If you time your visit well then attending a festival such as The Taste of the Danforth in Greektown is a great way to celebrate along with the rest of the city. There are a few options in and around the city of Toronto for thrill seekers. Younger children will enjoy a ferry ride to Centre Island where the Centreville Amusement Park has plenty of rides that are just the right size for them. North of the city is Canada’s Wonderland where visitors can ride thrilling roller coasters like Leviathan which is one of the tallest and fastest roller coasters in the world; enjoy tamer rides in KidZville or Planet Snoopy; cool off at the Splash Works waterpark; step back in time at Dinosaurs Alive!, an interactive animatronic dinosaur park; or just relax and enjoy the live entertainment. In Toronto, the end of summer is marked by the arrival of the Canadian National Exhibition (the “CNE“) on the shores of Lake Ontario for the 18 days leading up to and including Labour Day. The CNE features midway rides and games, wacky fair food, live entertainment and the three day Air Show featuring the Snowbirds (the Canadian Forces’ aerobatic flying team). Visitors to Toronto who are here for more than a few days will discover that the city is also a perfect jumping off point for visiting other communities in Southern Ontario such as Niagara Falls and Niagara-on-the-Lake, Stratford which is home to the world-renowned Stratford Shakespeare Festival, or the village of Kleinburg to visit the McMichael Canadian Art Collection. More information about visiting the City of Toronto can be found at the Tourism Toronto website. You may also want to consider purchasing a Toronto City Pass which will give you admission to the CN Tower, the Royal Ontario Museum, the Toronto Zoo, Casa Loma and the Ontario Science Centre at a reduced price. Lisa Goodmurphy is a lawyer living near Toronto, Canada who left the corporate world to stay home with her two daughters, Katie and Emma (now aged 15 and 8). Badly bitten by the travel bug years ago, Lisa considers herself fortunate that her husband and kids are equally enthusiastic about exploring the world. You can read about their family’s travel adventures on her blog at www.gonewiththefamily.com or follow along on Facebook at www.facebook.com/GoneWithTheFamily1 and on Twitter as @GoneWithFamily. Thanks for giving me the opportunity to write a guest post for you, Becca! You really must plan a trip to Toronto – I’d love to show you around! Excellent post. It has been WAY too long since I’ve been to Toronto. Now I’m even more motivated to go back! Toronto is becoming one of my my favorite North American cities! I had no idea about Casa Loma. I’ll definitely give that castle a visit next time. Our family went to Toronto last summer and had a blast!The CN tower and Casa Loma are a must, but taking the Amtrak train to Niagra Falls was the highlight! Once you get there the “Maid of the Mist” (boat that goes into the falls) is a MUST! What a great list! I love seeing all the things to do in Toronto, but I especially love how enthusiastically you describe each one. Great post, I’ll definitely visit all these places! I have just moved to the city with my kids from Vancouver and we are exploring new parts every weekend. We call it our “Family Adventures” and write a little journal after each trip! Last week, we’ve been to the Allan Gardens Conservatory , such a lovely place with all the exotic flowers. Would add a bit of green to your post I guess, but I’m sure you’re already been there if you lived in Toronto for a while. Is it less crowded in the winter?